Know when to change out your windows! My Home Pro offers custom windows, a perfect complement to your home. Besides looking great, our custom windows are energy efficient and easy to maintain. It’s worth going the extra mile to invest in custom windows because of the energy savings provided over the long term as well as the time you’ll save in maintenance. Custom windows last longer and are built for durability. Custom windows are designed to match or even enhance your home’s appearance. Custom windows save on costly replacements. There is no substitute for a quality custom window. 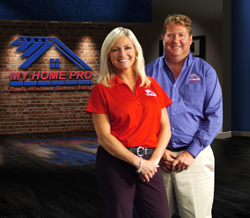 CALL NOW to save money with energy-efficient windows from My Home Pro.